Tracksounds: Star Wars in Concert! Well, when did this sneak onto the scene? Apparently, my head has been in the sand on this, as I was just introduced to these series of concerts via 1UP and Comic-Con, today. With the 10th Anniversary of The Phantom Menace being this year (Is that possible already?) and 30th Anniversary of The Empire Strikes Back looming for next year, (and perhaps due to the success of the traveling Lord of the Rings concerts), George Lucas, John Williams and company have put this special multimedia, live performance together. 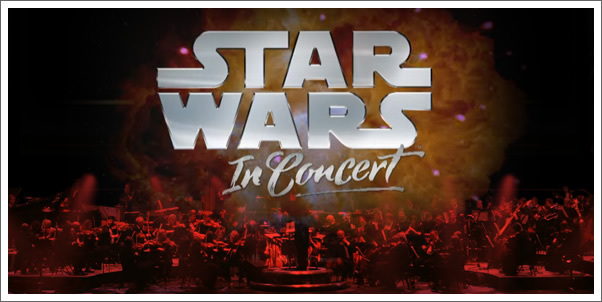 You can get all the info you need at the Star Wars in Concert official site here.